Scuba speaking! 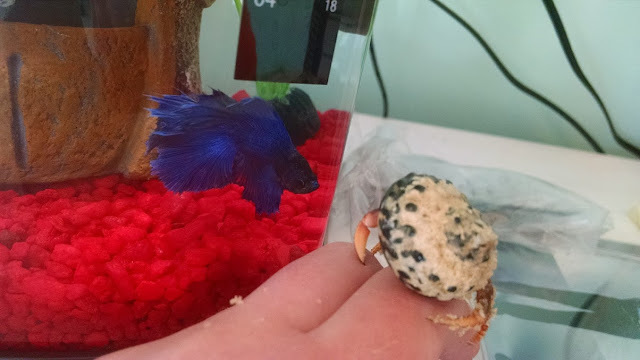 The human was holding one of her hermit crabs, Lola, outside my tank. I flared my fins at her for her to back off! Lightning says thank you for that truckload of good thoughts. OMD Scuba... you put your Finny Hackles up at Lola... you look HOOGE that way. Yeah, Scuba....you let everyone know just whose tank that is! so that means she will be not your girlfriend?